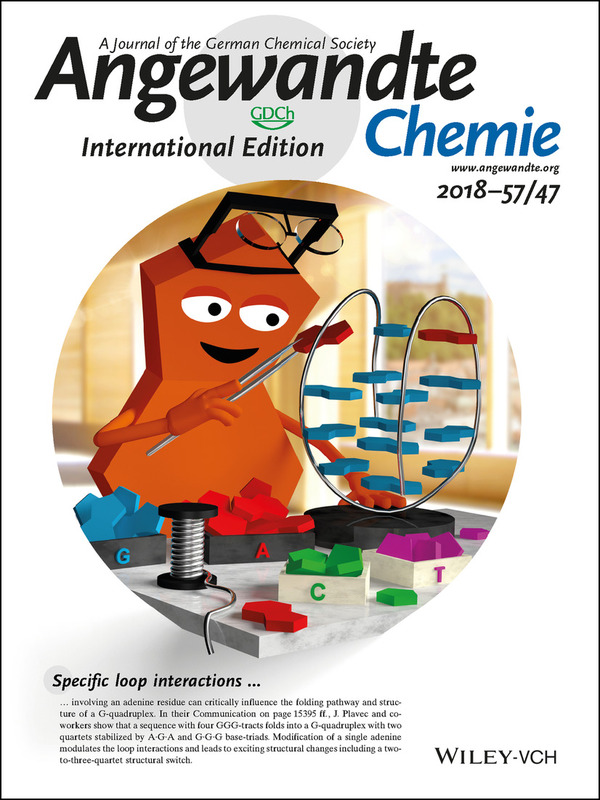 A study of specific loop interactions involving an adenine residue that can critically influence the folding pathway and structure of a G‐quadruplex has been highlighted as an Inside Cover in Angewandte Chemie journal. Lenarcic Zivkovic M., Rozman J. and Plavec J., Adenine-driven structural switch from two- to three-quartet DNA G-quadruplex, Angew. Chem. Int. Ed. 2018, 57 (47), 15395-15399. Web access at Wiley Online Library, Angew. Chem. 2018, 130 (47), 15621–15625. A hug against cancer. The tie between the ActD molecule with DNA structures rich in guanine inhibits the production of tumour cells.